The strength & longevity as well as the cost of labor and look of the finished product is greatly impacted by the workability of concrete. The concrete can provide better functionality, if it is easily positioned and compacted consistently devoid of bleeding or Segregation. The concrete that is not in good working condition should be supported with extra work and endeavor for being compacted in position, also honeycombs &/or pockets are also found in finished concrete. Definition of Workability: Concrete workability defines how smoothly freshly mixed concrete is amalgamated, arranged, compacted and finished by keeping the conformity as it is. Workability refers to a property that directly affects strength, quality, appearance, as well as the cost of labor for placement and finishing operations. 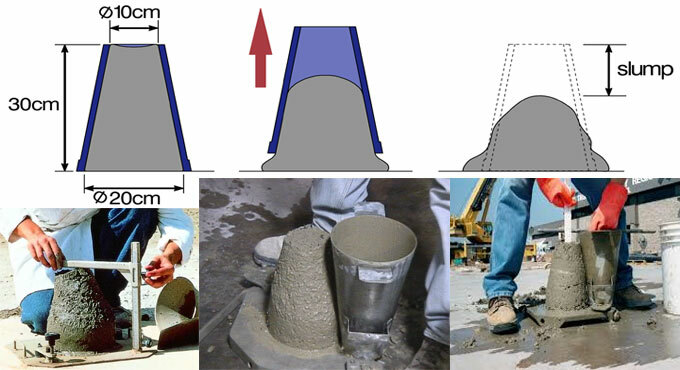 The most recognized method for measuring the workability of concrete is Slump Test.